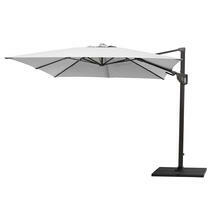 The Hyde parasols are an excellent size when you are need to give shade to a large seating or dining area. 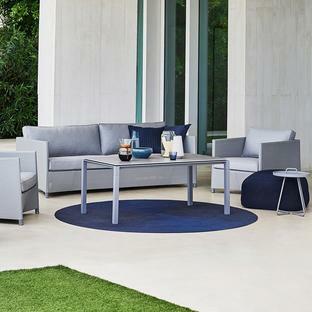 It is particularly suitable for larger tables where there is no parasol hole, or for outdoor lounge or modular seating furniture. 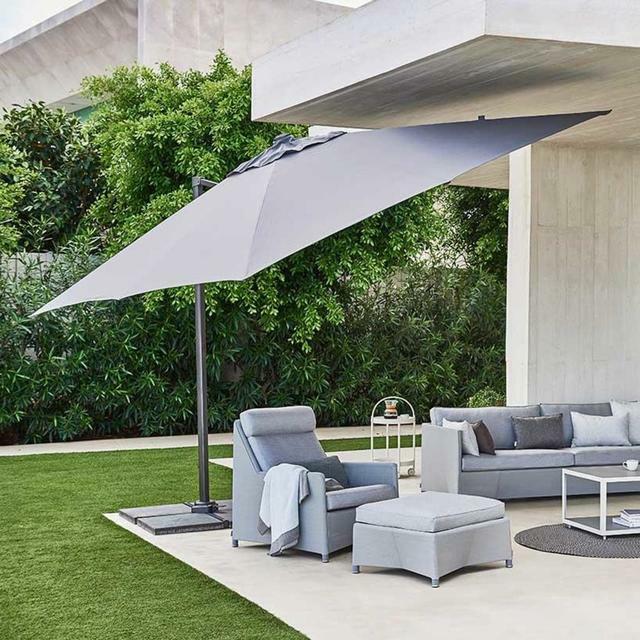 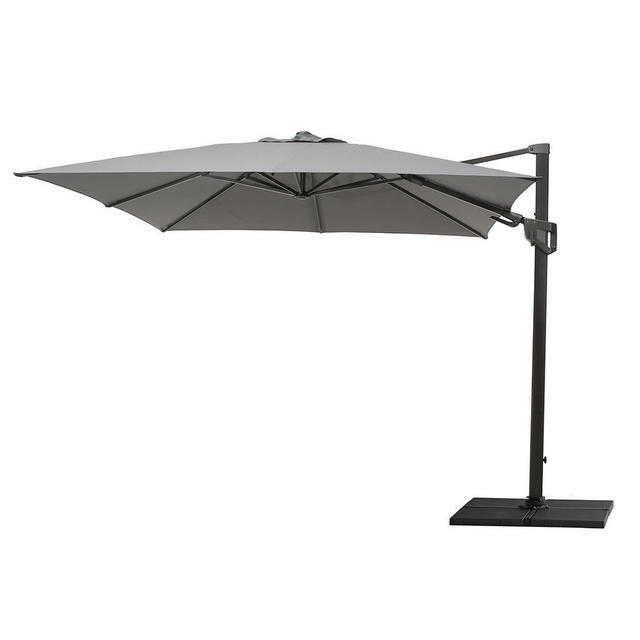 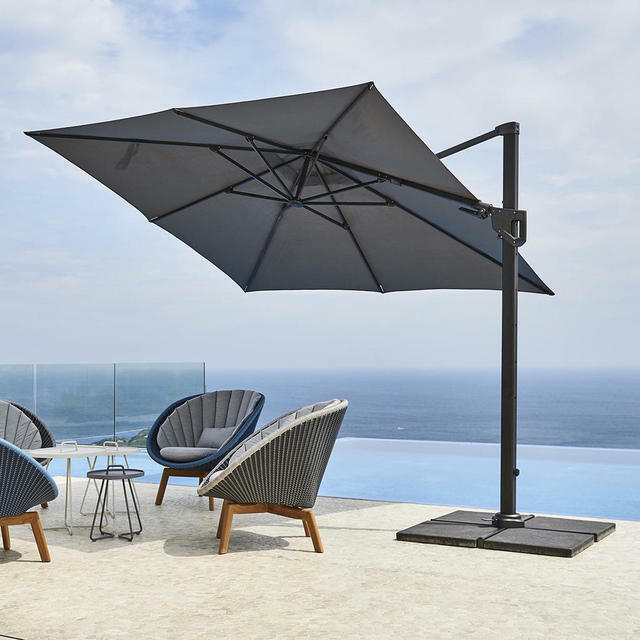 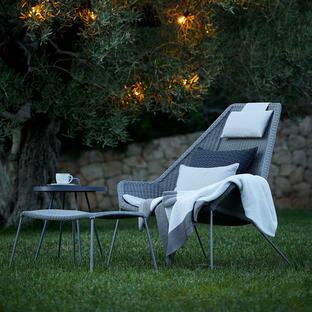 The Hyde parasol comes in a generous 3x3m square. 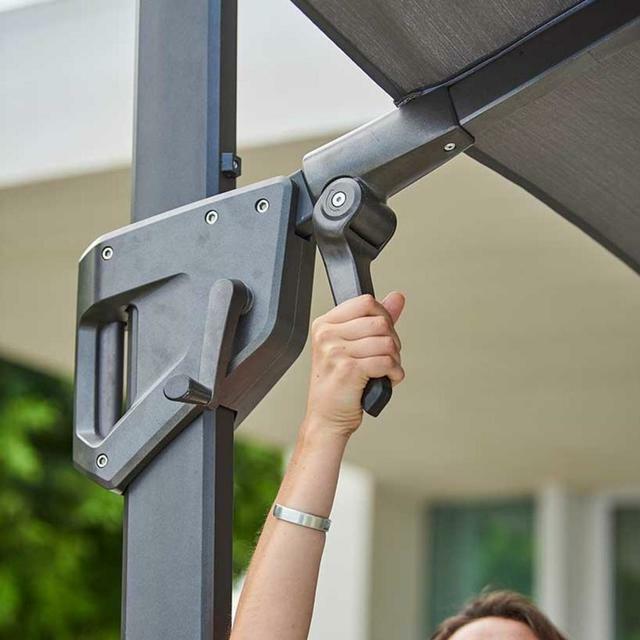 It has a crank handle for easy opening. 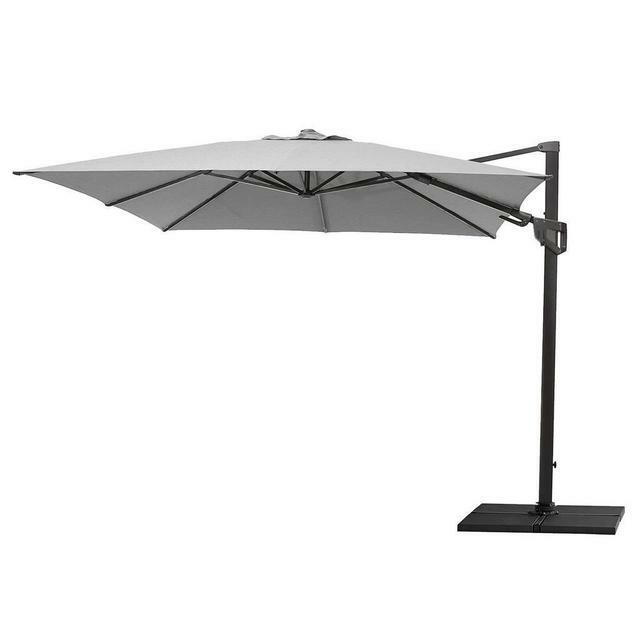 The parasol canopy can be tilted and moved around. 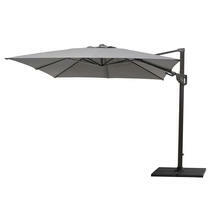 The Hyde parasol is supplied with a base made up from 4 concrete tiles. Or for a larger size see Hyde Luxe parasol which is 4x3m in size. 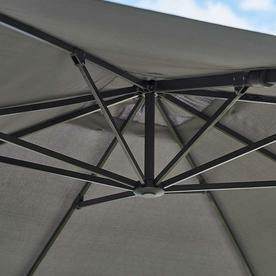 Base is supplied with the parasol, consists of 4 concrete squares which fit in to the square base. 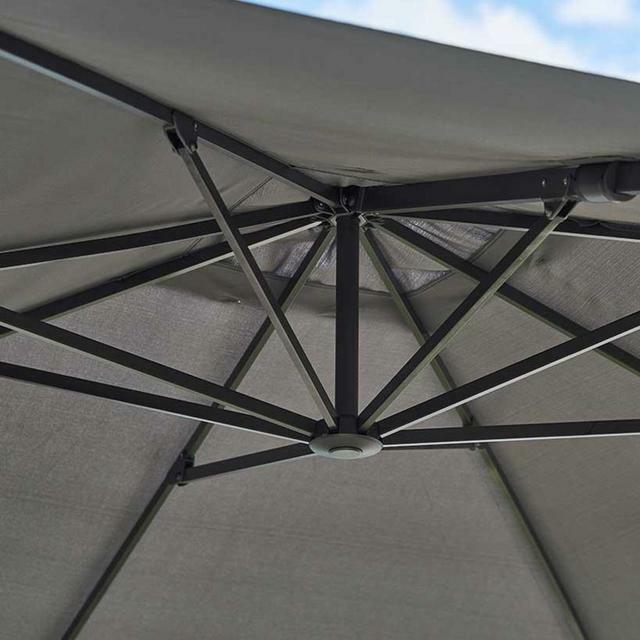 A cover can be ordered separately. The pole is made of aluminium. 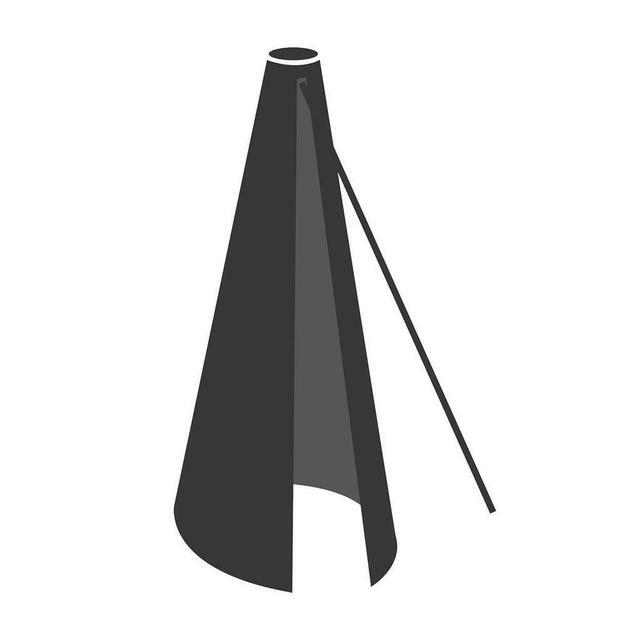 There is a choice of parasol fabrics: The White and Anthracite colours are made from 100% Olefin fabric, a durable, strong fabric with good colour fastness and resistance to staining and fading from sunlight.